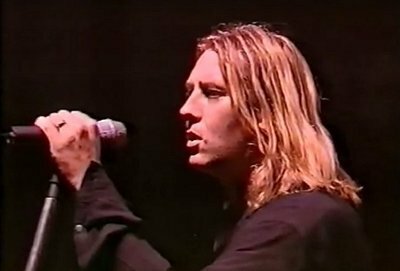 Def Leppard played a show on the Slang tour in Jakarta, Indonesia on 1st June 1996 and an archive tour diary/video footage are available. 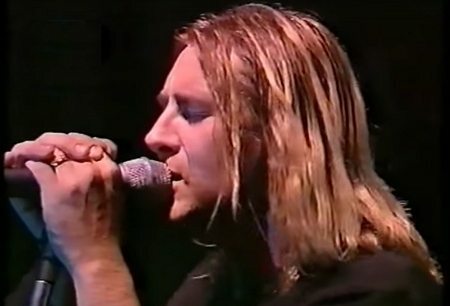 Joe Elliott wrote a tour diary for Q Magazine from the show which took place at Ancol Stadium. 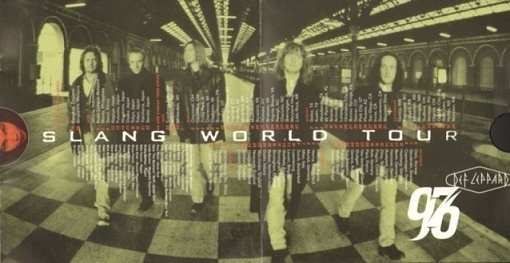 A local TV station filmed the show and broadcast 12 songs in a 65 minute special called 'Def Leppard Slang World Tour 1996'. You can view the full programme via the links below to YouTube. It includes the first ever live performance footage filmed of 'Slang'. Only played before its debut in Singapore on Top Of The Pops (band - play/Joe - live vocals.) in the UK in early May 1996. The show had been delayed by 30 minutes after the power cut out as they played the opening song 'Gift Of Flesh'. Once again Joe continued his South East Asian tour diary for Q Magazine with an entry for this show. "Don't fancy yours much..." ...especially when "yours" is an hairsuite Irish guitarist in an ill-fitting dress. Always the open-minded one, Def Leppard's Joe Elliott takes on South East Asia at karaoke, drinks his own body weight in Scotch and worries about his father, lying in an intensive care ward back in Sheffield. What makes you want to make a concert in Jakarta? Joe - "Well we came down to do the promotion for the Vault album last year and there just seemed to be a lot of excitement about coming back. So you know we just made sure that we just put it is as part of the whole schedule for the South East Asia leg." Different response from audience in Asia? Vivian - "Asian audiences are generally a lot more receptive. Well for the most part, yeah. I mean we played in Bangkok and we played in Singapore. And certainly Bangkok was the wilder crowd of the two. We anticipate that Jakarta's probably gonna be similar we hope." What kind of message do you want to say from the Slang album? Joe - "We're still around. We're still here. We've made a different kind of record to anything we've made in the past which was a statement in itself. It was a necessary move on our part. To make a record that was a little bit more organic. A little bit more natural. A little less reliant on technology. And just you know a step away from all that big 80s sound that we were renowned for." Why choose Spain to make the album in? Vivian - "Because we live in different places. Myself, Phil and Rick Allen live in California. And Joe and Sav live in Dublin in Ireland. So we had to go - we didn't want to work at home because we always get distracted. So we had to go somewhere that was neither Dublin nor Los Angeles and we like good weather. So we went for the warmest place in Europe which is Southern Spain." "The other reason was we wanted to make a record outside of the studio. And most studios are in major cities. You know London or Paris. New York or whatever. So we actually went to a small town. We just rented a house and bought our own recording equipment." Maybe you want to try some places in Indonesia for your next album? Vivian - "It's a little hot!. There's hot and then there's too hot." Rick (on the concert) - "It's really nice to play a new place." "We're gonna play you what has turned out to be the title track of our new album. Here's a little ditty for ya called Slang!."